And ‘force’ is the operative word, at least for those raising the alarm. It is a theme already seen in relation to the provisions of the recent Food Bill, and in justifying the sales of the Crafar farms to Chinese buyers as an obligation under ‘most favoured nation’ agreements. Losing control is also a concern raised about the government’s intention to part-privatise electricity infrastructure assets. Memories of the worst aspects of GATT (General Agreement on Tariffs and Trade) and the experience in North America of NAFTA-style agreements – blamed for exporting local jobs offshore, and turning Mexico, the home of corn, from a corn exporter to a corn importer – have people worried that the interests of the corporations will outweigh benefit to people. International trade policies can be designed to lift labour, environmental and human rights standards and living conditions at home and abroad. But will they? In New Zealand, there has already been some debate on the risks to Pharmac and access to affordable medicine under the TPPA. Less well known is the threat of forced acceptance of GE contamination, even in organic food. We have reason to be concerned by the trend for international negotiations and even internal policy to be driven more and more by the interests of companies rather than the interests of citizens via their democratic voice. Codex Alimentarius, the Food Bill and now the TPPA are examples of the influence of multinationals, such as Monsanto and the pharmaceutical industry, usurping the influence of the public interest. It is a trend that must be overturned before more of the legal mechanisms that would allow protection of the public interest are lost. I asked the Minister to protect GE-free production in New Zealand. Right now New Zealand exporters benefit from our reputation and gold-standard zero threshold for GE contamination in seed. Just as organic agriculture is key to making real the clean, green reputation on which we trade, so too are world-class food safety and monitoring standards. It’s a shame that Fonterra has recently backtracked on building our organic dairy capacity, but they may come round. Either way, they have no more right than overseas corporations to force communities to accept lower standards for health or the environment, as the TPPA could threaten. Alarmingly, we have already seen the diluting of standards for inspections, pre- and post- the border, and there have been cuts in MAF biosecurity staff. Free trade may be easier for the handful of global agri-chemical players, but at an unacceptable cost to the integrity of the global food supply. For brand New Zealand, with our physical isolation and global reputation, lowering standards of food safety and purity to a ‘common-denominator’ is against our economic, environmental and public interest. However, the letter does not acknowledge that the absence of GE crops protects our GE-free export status for organic and conventional food which is in demand internationally, or that GE crops and ingredients have contaminated and destroyed certified organic production overseas. I had asked the minister for a clear commitment that the negotiating team will protect New Zealanders’ rights to grow and eat organically-produced, GE-free food, and not to force acceptance of contamination as a price for the TPPA. Though some of his letter sounds hopeful, the Minister has yet to provide assurance that the national interest in our GE-free status will be protected. As negotiations are still secret, it is impossible to know what is being agreed, but New Zealand’s gold-standard for producing safe, natural, high-quality organic food must not be sold out, at any price. GE (genetic engineering) and GM (genetic modification) are both terms generally used to describe the same technology, that is: humans inserting or recombining DNA between different species or within a species. 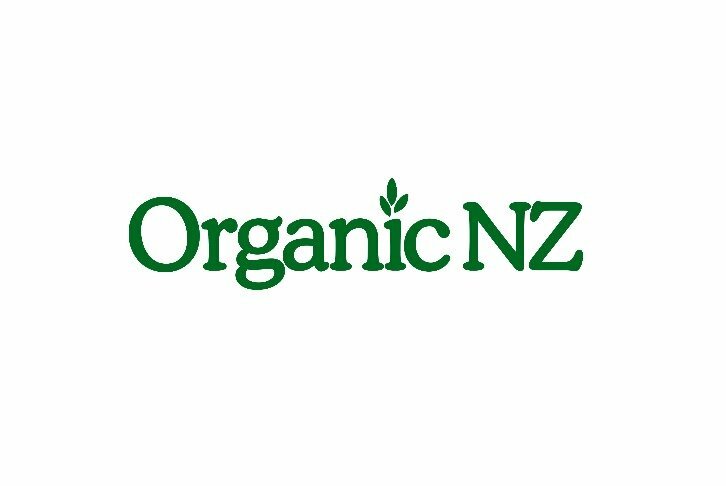 Organic NZ prefers to use GE as a more accurate description that cannot be confused with other technologies including conventional cross-breeding. Trade negotiators from the USA and eight other countries have been busily negotiating the Trans-Pacific free trade agreement, sometimes called the Trans-Pacific Partnership or TPP. This regional trade deal currently includes Vietnam, Brunei Darussalam, Singapore, Malaysia, New Zealand, Australia, Peru and Chile, and is intended as a ‘docking agreement’ that other Pacific Rim countries would join over time, e.g. Indonesia, Russia, Japan, the Philippines and possibly even China. Labour rights: Will the TPPA include labour standards based on International Labour Organization conventions and, if included, how will they be enforced? Investment provisions: Will the TPPA include so-called ‘investor-to-state’ provisions allowing individual corporations to challenge environmental, consumer and other public interest policies as barriers to trade? Public procurement: Will the TPPA respect nations’ and communities’ right to set purchasing preferences that keep taxpayer dollars recirculating in local economies? Access to medicines: Will the TPPA allow governments to produce and/or obtain affordable, generic medications for sick people? Agriculture: Will the TPPA prevent the agricultural/export dumping that has forced so many family farmers off their land? Labour, environmental, family farm, consumer, faith, immigrant rights, human rights and other social justice advocates are warning that the TPPA negotiations must come into the public light. 4. Dr Don Huber, Part 1 www.youtube.com/watch?v=X4swW9OFmf8; Part 2 www.youtube.com/watch?v=ENmc9kHnvbo. Write to the Minister of Trade and/or your MP, Freepost Parliament, Private Bag 18888, Wellington 6160. Jon Carapiet, M.A., M.Phil., is a researcher and advocate for brand New Zealand.